The social disease that we call "Political Correctness" infects all areas of life, even history. Now, history is not an exact science, that much is true. But some people have vested interests in history, for various reasons: ideological support, political support, moral support, and others. And there is no other issue that polarizes opinion and interest more than the subject of the World War II holocaust, mostly directed against the Jews. It is therefore not a surprise that the Irving trial, which began in January, attracted a lot of press attention. So did the verdict pronounced on April 11th. It was an important trial on many points of view: on freedom of speech, on the Holocaust, on political motivations. 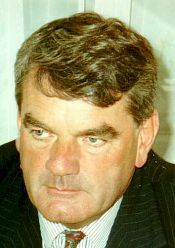 David Irving, who is without doubt the most celebrated revisionist historian in the world, had sued for libel a writer named Deborah Lipstadt, who wrote a book called "Denying the Holocaust -- The Growing Assault on Truth and Memory." 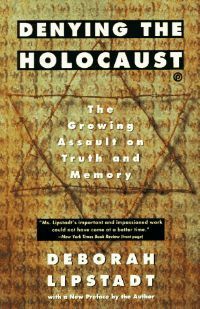 Lipstadt maintained that Irving, who is otherwise a great historian, has distorted evidence and maintained double standards in his examination of the Holocaust question in order to support his neo-Nazi political aspirations. The judge found that almost without exception all of the evidence on which this position was based was correct, and that therefore Irving's claim was false. In fact, it is very surprising, by reading the detailed verdict, how Irving distorted clear evidence and blew out of proportion small facts or even lies. How could such an acclaimed historian, who did ground-breaking work on World War II (as the judge himself acknowledged in numerous occasions), also be such an inveterate liar when faced with the facts of the Nazis and their involvement in the mass murder of Jews? Of course one might say that opportunism was an important factor. Being involved in neo-Nazi politics made the Holocaust an easy target for Irving; after all, he is mostly a World War II historian. The trial was interesting, as I said, for many reasons. One of these is that it sums up very clearly the evidence for and against the notion of the Holocaust, and the Nazis' involvement in it, in calm and impartial terms. This is not a coincidence, since a trial is not usually the place for passions to run high. Therefore it serves this very important purpose. The main point of contention put forward by revisionists is the alleged non-existence of the gas chambers, at Auschwitz and other camps. The Leuchter report, the main document used to refute the Holocaust, was admitted even by Irving to contain gross scientific mistakes, mistakes which made it completely unuseful as a study of the gassing question. Apart from the lack of internal documentation of the number of victims, all the evidence points to the existence of the Holocaust as described by historical authorities. This lack can also be explained, although with more difficulty (for more information on the codes used by the Nazis, consult Eichmann's testimony to the Israeli police made before his trial). This trial has also hopefully shed some light on the terrible libel laws in the UK. In Britain, any person accused of libel must make the proof that his propositions are true to their most important extent. Not only need there not be any proof of actual harm, but the burden is on the accused, not the accuser. That is a blow to freedom of speech, there is no doubt about it. What's worse is that British anti-libel laws were even more stringent during the eighties, and were toned down by the Defamation Act of 1996. Surely such a set-up discourages free expression in a great way, especially for newspapers. Personally I am against any libel law, as a consequence of free speech. Saying something bad against someone does not hurt this person directly or his property; it is left to each individual to assess the evidence presented and make his own conclusion. Assuming that people are so simple as to believe everything they read is silly, even if nobody ever lost money underestimating public stupidity (except, I suppose, John Travolta and his flop Battlefield Earth, but that's a story for another time). It is not really my argument here to show that the Holocaust did happen, since it seems to me that this question has been resolved without doubt, to the satisfaction of any rational standard of evidence. I have no doubt that all revisionists are sorely misguided or lying. I am not saying this to be politically correct -- heavens forbid -- it is simply my educated opinion. I am a lot more disgusted at censorship than I am at revisionism. Holocaust Revisionism is a false and politically motivated position on a terrible incident. Censorship, done by the supposedly "good guys," is far more revolting. At least revisionism does not suppress anyone, and it attempts to use facts (although in a rather shallow way) to make a point. Censorship in no form whatsoever attempts to maintain the merest facade of righteousness; it is an unqualified and undisguised attack on each and every one of us. 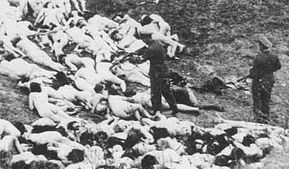 There is no doubt that the Holocaust was a most evil event from all points of view. However, I do not subscribe to the theory that discussing the validity of the evidence for such events is a lack of respect for anyone. Mainstream historians themselves have disputed, for example, the estimate of four million victims at Auschwitz, and have established it as being a gross misrepresentation. The real figure turns more realistically around a million victims. Such a "revision" does not make the impact of these individual deaths and the means used any less horrifying. Saying that one million people died instead of four is not a lack of respect to the children or grandchildren of the victims. Even if such was true, nobody has the right to not be offended. Whenever such a "revision" offends anyone or not is irrelevant. Not only that, but historians, with good reasons, repeat that the Holocaust is a historical fact. If that is so, there shouldn't be any fear about revisionism. Historians should be the first people to encourage rational examination. Of course there is an extent to which such discussion proves to be unfruitful, like we observe with biology and creationism. In fact both beliefs are similar in some ways: they are motivated by particular ideologies and supported by pseudo-scientific inquiry. Creationism is much too popular to be banned, however. I don't know any biologist who seeks to purge creationist thought from society: it is with a renewed delight that they jump on the latest nonsense from our Christian friends. Because of the persecution made towards revisionists, it is tempting to take their side. Irving himself, according to the LA Times, has been denied entry in Canada, Italy, Germany and Austria because of his activities -- and Holocaust denial laws. In most of Europe, "alternate views on the Holocaust" are forbidden by law. As Irving says, "[t]hey regard me as dangerous, and the word 'dangerous' puzzles me. I don't go around punching people in the face... 'Dangerous' can only mean dangerous to their interests, either in the long term or the short term." One is tempted to extrapolate on these interests. What do they have to hide? During the trial, Irving's books ("Hitler's War" and "Goebbels") have been shown conclusively to be tapestries of lies and deceptions. It should be as easy as shooting fish in a barrel to refute Irving, and even write books on the subject to expose his deceptions. What is so important that people must be fined, jailed or expelled? Not wanting to hurt anyone's feelings? It wouldn't be the first time that governments enforce sensitivity with violence. It's not only immensely stupid, but ironically self-defeating, much like Christian rock. Why the vested interests on both sides of the fence about this piece of history? Like all fields of inquiry, history is supposed to be impartial. True, many revisionists are associated with neo-Nazi movements, but it is perfectly normal for quacks in all disciplines to associate with people who will want to hear what they have to say. Hatred and violence is hardly the way to convert anyone to your views: it only makes martyrs and creates disillusionment. Nazi Germany learned that lesson too late, and we still haven't learned it. Martyrs, the revisionists have in spades. Countless students or teachers have been expelled for their views, and countless people have been harassed, attacked or banned from countries for propagating the word of revisionism. The most prominent Internet revisionist, Ernst Zündel, has been the target of three assassination attempts. Fred Leuchter, who wrote the infamous "Leuchter Report" denying the existence of gas chambers, was arrested, jailed and ruined financially in Germany for giving an anti-Holocaust lecture. And so on. There is no point to this charade. Instead of letting them recite their litany of false statements and complaints, we create martyrs. This strategy has never worked before and it will not work any more now -- let alone having a strategy altogether. The question of the Holocaust, as of most other false popular ideas, does not require a "strategy." It is mostly a partly good sense, partly scientific question. For example, some revisionists say Auschwitz was not used as a death camp since it had a swimming pool. This kind of stupidity is just the result of a lack of good sense. Another argument often used is that delousing chambers have a much higher residual concentration of Zyklon-B than the gas chambers, and that therefore the chambers were not used to gas people. This is a scientific question, which is easy to understand if you consult any basic textbook on the subject: the concentration necessary to kill human beings is much smaller than the concentration necessary to kill microscopic organisms. I think that an uninformed reader, stumbling upon the Leuchter Report or some other revisionist literature, could easily believe that the Holocaust is a myth. That's the problem of being uninformed, you see. From a pragmatic viewpoint, it would be much more effective to inform a large segment of these people rather than imprison their most vocal representatives. As I said, by censoring the revisionists, we are unwittingly imitating the kind of people that we want to suppress. Censorship is not unique to Nazi-like societies, but is certainly one of their characteristics. Hitler had all the "bad art" and "non-German art" exposed to ridicule and relegated to dusty attics. Now we are exposing all the "bad ideas" and "non-acceptable ideas" to litigation. There is a double standard, though; we certainly don't persecute creationists or astrologists for their opinions, false or destructive as they may be. Perhaps this is because most delusions are seen as harmless. I also note that we often rationalize this behaviour by classifying revisionism as "hate speech" (it is officially qualified as such in Canada). I suppose that is a convenient way of pushing embarrassing issues away: "they're just hateful people." The mere notion of "hate speech" is ridiculous. How does it go? If you insult someone because you hate him, it's not so bad, but if you insult someone because you hate his race, it's an outrage? To me, an insult is an insult, any way it is presented. I have no more qualms about getting insulted because of my race or nationality any more than being insulted because of my opinions. I suspect that is a more rational attitude than the Mother Superior-ing that we see flourish today, although I'll leave the more thorough appraisal as an exercise for the readers. The notion of hate is also subjective, in the manner that we use it. To Christians, an atheist web site may be hate speech. To a homeopath, a web site on chemistry may be hate speech. Politicians can get away with defining hate into existence since they follow the general consensus of what is "politically correct." We see once again that democracy produces very dangerous effects -- hate laws are little more than organized mob lynchings. Not only should there not be any laws to regulate speech, but governments should be ideologically neutral, except for politics, of course. The notion of a "Holocaust-denial law" is as ridiculous as creationism in schools, or a law saying that the long established value called Pi is equal to 3. It's just not the government's job to determine what is true and what is not. Politicians are there to administrate nations, not to determine scientific truths. I have gone a long way from Irving, but I think it is a point that deserves to be made. The Irving trial gave the occasion to the media to once more appraise the two sides of the debate. And that's what a free society is all about.